This project is about creating a plugin implementing an algorithm about fast spot detection using scalable wavelets in Icy, an open community platform for bioimage informatics. 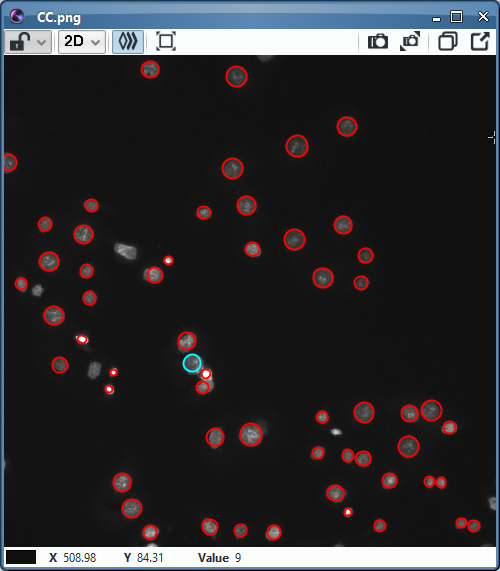 There is already an implementation of this plugin for ImageJ, but we want to port it to Icy to be able to use its integrated 3D viewer to later extend the algorithm to the detection of 3D spots. We did not extend the algorithm to 3D in the scope of this project, but we created a working plugin with added features. This plugin has been published to the Icy repository of plugins, thereby users can simply install it by browsing the list of all plugins inside the application. 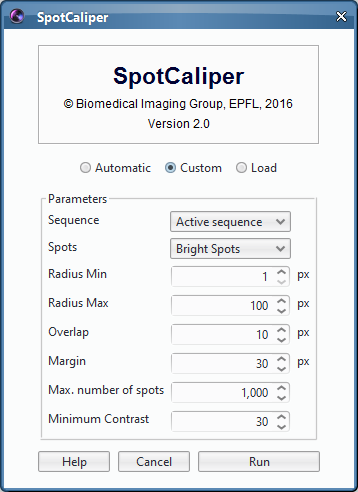 Using this plugin, you can detect bright spots (dark spots) on dark background (light background). The interface allows you to either enter parameters manually or to automatically select values. 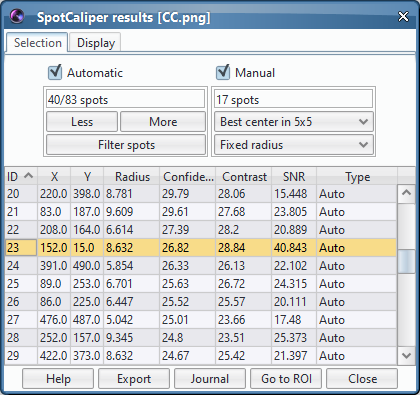 After the analysis of the image has finished, all data is presented to you visually on the image and in a table. You can then move the detected spots or add/delete them, if they don't fit perfectly.